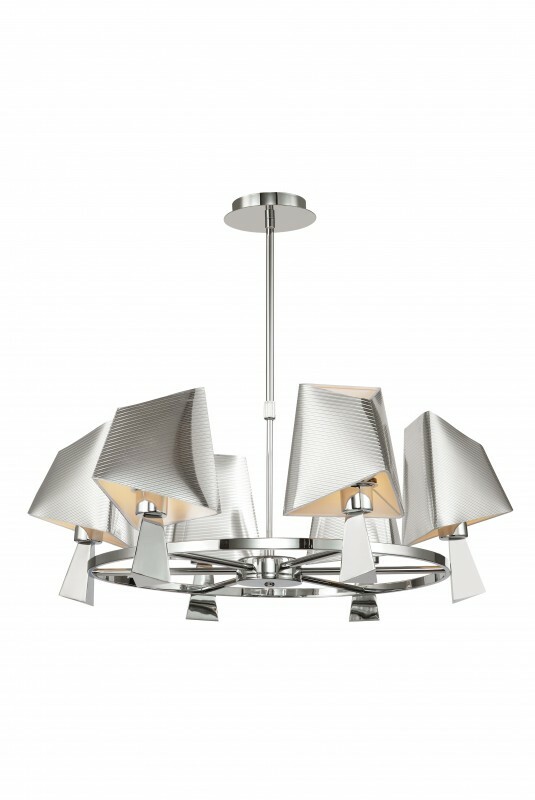 Modern ultra-contemporary metropolitan look in today's lighting. Silver laminate PVC shade with defined lines. For the platinum silver effect.